Roaming Dragon, Vancouver’s award-winning Pan-Asian food truck, has earned acclaim as Vancouver’s most innovative caterer. Whether you’re seeking a Street Food/Food Truck experience for your guests, or a more traditional catering with Pan-Asian flare, Roaming Dragon is committed to making your event memorable (and delicious!). Our menus are creative, the energy of the Dragon brings incredible excitement to any event, and our flexible service options ensure your event is a hit. OFFICE ORDERING: Roaming Dragon specializes in bringing our delicious food into your office. We offer delivery and catering menus to make sure your next office event is as delicious as it is productive. We can’t bring the food tuck everywhere, so this is the next best thing. 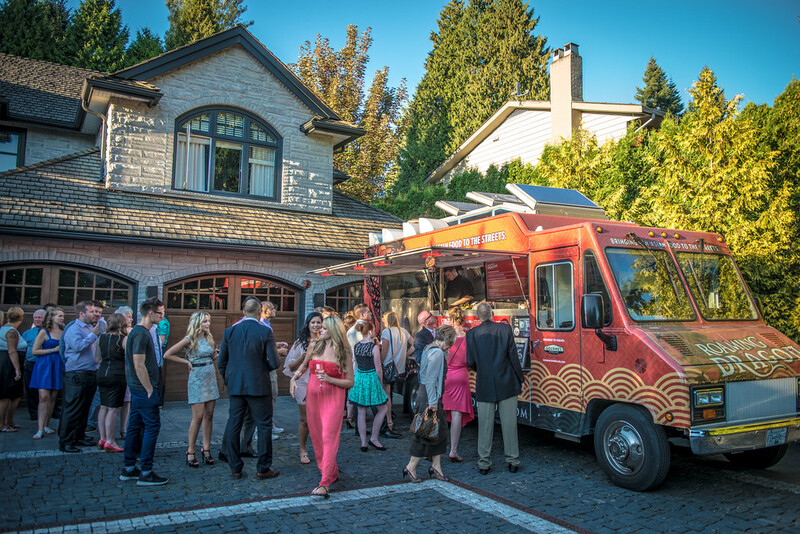 FOOD TRUCK EXPERIENCE: Roaming Dragon brings the Food Truck revolution directly to your event. We roll-up, feed your guests, and roll out. Incredible food, memorable experiences, and clean-up services all in one! CUSTOM CATERING: Roaming Dragon offers full-service catering, as well as catered delivery. Our Pan-Asian menus are crafted to fit the budget and tone of your event, and our catering consultants will offer recommendations for service-level offerings to ensure the appropriate level of event support.